yoni0505's Spot: America's Army 3.1 Released! 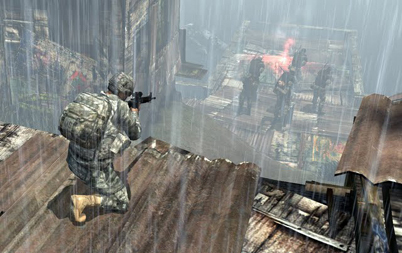 After long waiting, the update many of the America's Army 3 players were waiting for was released at 9.6.2011. If you ask me America's Army 3 had lack of content. Before the update it had only 5 maps - Ally, Bridge, Impact, Ranch, and Pipeline. And this updates includes 2 new maps - ShantyTown and Stronghold. It will be great improvement for the game. If you haven't played yet America's Army 3, I would recommend you to try it. Don't give up! America's Army 3 is a difficult game, specially for beginners. And take your time to aim, you will miss every single bullet unless you aim properly!